Meet Will Rhodes – he’s living the dream as a journalist for the travel magazine Travelers, venturing to far-off places, being plied with free food and wine at exclusive restaurants, rubbing elbows with the rich and powerful. So what if the pay isn’t great and he’s deeply in debt, that he and his wife hardly see one another, he’s made it, right? One night, in Argentina on an assignment, Will finds himself seduced by a beautiful blonde and pulled unwillingly into the world of international intrigue. Blackmailed into working for the blonde CIA agent (whoops), Will is forced to use his position as world traveler and professional schmoozer to gather intelligence on foreign nationals and American expats. As he gets pulled deeper and deeper down into the cesspool of espionage, it becomes clear the the web around him touches almost every aspect of his professional and personal life. Who can be trusted when everyone you know may be lying to you? The cover text calls this book “Hitchcockian,” and they’re not far wrong. For the younger reader, I’d say this book trends somewhere between the television shows Alias and Archer. 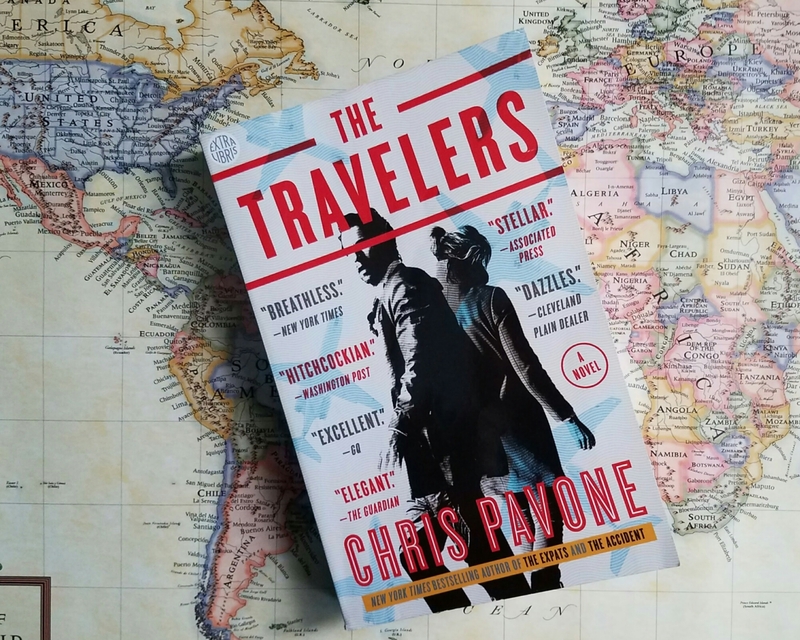 Pavine is great at keeping the tension going, the reader is fed just enough tidbits about the machinations going on in the background to foster a sense of paranoia about each and every character, and each and every interaction. At the same time, the tone of the book is darkly sarcastic and humorous, both eerily plausible and unexpectedly funny. The story does drag on in places, tightening up of a few things would have brought about a more streamlined book, but in all, this is an entertaining and fast-paced read. I’d recommend this to fans of action movies and international thrillers. If you like your James Bond to include just a hint of Sterling Archer, this may be the book for you.